Employers can effectively use personnel assessment instruments to measure job-relevant skills and capabilities of applicants and employees. These tools can help to identify and select better workers and can help improve the quality of an organisation’s overall performance. To use these tools properly, employers must be aware of the inherent limitations of any assessment procedure, as well as the legal issues involved in assessment. Together, these 13 principles provide a comprehensive framework for conducting an effective personnel assessment program. Assessment instruments, like other tools, are helpful when used properly but can be useless, harmful, or illegal when used inappropriately. Often, inappropriate use results from not having a clear understanding of what you want to measure and why you want to measure it. As an employer, you must first be clear about what you want to accomplish with your assessment program in order to select the proper tools to achieve those goals. Your assessment strategies should be based on both an understanding of the kind of employment decisions to be made and the population to be assessed. 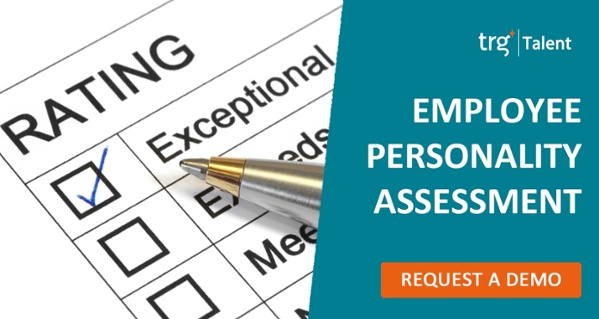 An assessment instrument may provide you with important employment-related information about an individual. However, no assessment tool is 100% reliable or valid; all are subject to errors, both in measuring job-relevant characteristics and in predicting job performance. Moreover, a single assessment instrument only provides you with a limited view of a person’s qualifications. Using a variety of tools to measure skills, abilities, and other job-relevant characteristics provides you with a solid basis upon which to make important career and employment-related decisions and minimizes adverse impact. Using unbiased and fair tests will help you select a qualified and diverse workforce. Employment decisions based on tests that are biased are likely to lead to unfair and illegal discrimination against members of the lower scoring groups. You should review the fairness evidence associated with assessment instruments before selecting tools by examining the test manual and independent test reviews. If a person takes the same test again, will he or she get a similar score, or a very different score? A reliable instrument will provide accurate and consistent scores. To meaningfully interpret test scores and make useful career or employment-related decisions, use only reliable tools. Test manuals will usually provide a statistic, known as the reliability coefficient, giving you an indication of a test’s reliability. The higher the reliability coefficient, the more confidence you can have that the score is accurate. Validity is the most important issue in selecting assessment tools. It refers to (1) the characteristic the assessment instrument measures, and (2) how well the instrument measures the characteristic. A test’s validity is established in reference to a specific purpose; it may not be valid for different purposes. For example, a test that may be valid for predicting someone’s “job knowledge,” may not be valid for predicting his or her “leadership skills.” You must be sure that the instrument is valid for the purpose for which it is to be used. Selecting a commercially developed instrument does not relieve you of this responsibility. An assessment tool is usually developed for use with a specific group; it may not be valid for other groups. For example, a test designed to predict the performance of office managers may not be valid for clerical workers. The skills and abilities required for the two positions may be different, or the reading level of the test may not be suitable for clerical workers. Tests should be appropriate for the individuals you want to test, that is, your target population. Are the instructions for administration and interpretation understandable? Is the information sufficiently comprehensive to evaluate the suitability of the instrument for your needs? Carefully evaluate the documentation provided by the test publisher to be sure that the tools you select do the job you want them to do and furnish you with the information you need. If the documentation is not understandable or complete, you run the risk of selecting inappropriate instruments. Assessment instruments must be administered properly to obtain valid results. Consult the test publisher and administration manual for guidelines on the qualifications and training required for test administrators. These requirements will vary depending on the nature and complexity of the test. Only suitable staff should be selected. There are various extraneous influences that may affect the reliability and validity of an assessment procedure. For example, noise in the testing room, poor lighting, inaccurate timing and damaged test equipment may adversely affect test takers. Staff should ensure that the testing environment is suitable and that administration procedures are uniform for all test takers. To ensure that qualified individuals with disabilities have an equal chance to demonstrate their potential, accommodations in the assessment process may be necessary. For example, administering a braille version of a test, allowing extra time to complete the test, or supplying a reader may be appropriate. It is important to become familiar with the types of accommodations that can be made without invalidating test results. Lack of security may result in some test takers having access to test questions beforehand, thus invalidating their scores. Security is also the responsibility of test developers. The security of a test may become compromised over time. To protect security, test developers periodically introduce new forms of tests. Assessment results are highly personal. Employers must respect the test taker’s right to confidentiality. Assessment results should only be shared with those who have a legitimate need to know. This would include staff involved in interpreting assessment results and making employment decisions. Tests are used to make inferences about people’s characteristics, capabilities, and future performance. The inferences should be reasonable, well-founded, and not based upon stereotypes. If test scores are not interpreted properly, the conclusions drawn from them are likely to be invalid, thus leading to poor decision making. Ensure that there is solid evidence to justify your test score interpretations and the employment decisions you make based on those scores. The test manual should provide instructions on how to properly interpret test results.